In addition to the Image quality test results shared recently, image quality results from the 7D Mark II, vignetting, flare and distortion test results along with specs and measurements are now available on the Canon EF 400mm f/2.8L IS III USM Lens page. The specs and measurements comparison between the Canon EF 400mm f/2.8L IS III USM Lens and the Canon EF 400mm f/2.8L IS II USM Lens reveals the big deal for this upgrade. The weight difference is huge. Even more impressive is the comparison between the Canon EF 400mm f/2.8L IS III USM Lens and the Canon EF 400mm f/2.8L IS I USM Lens. The Canon EF 400mm f/2.8L IS III USM Lens is in stock at B&H and available for preorder at Amazon | Adorama | WEX. 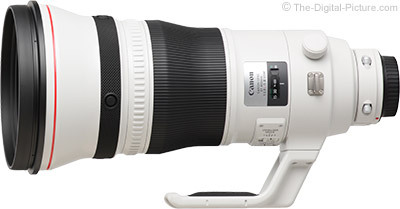 Rent the Canon EF 400mm f/2.8L IS III USM Lens from Lensrentals.